Thank you for choosing Midland Brick. We take great care and pride in the manufacture of our products and want you to get the most out of your new purchase. Here are some important points and helpful hints about caring for your new bricks, blocks and pavers. We have safety information sheets available that provide details on brick cutting, cleaning, safe storage and movement of bricks and pavers. Ask our Sales Advisors or see online for more information and to download leaflets. We strongly recommend that you carefully inspect all bricks, blocks and pavers delivered to your site PRIOR to use. Any issues regarding product quality or damage should be directed to our Customer Service team PRIOR to laying. Are you matching to existing product? Whilst every effort is made to ensure product consistency, some variation is normal between production batches. This is due to the nature of the ingredients used and the manufacturing and firing process. 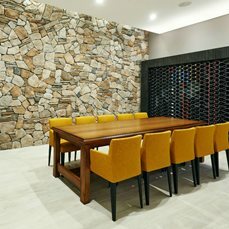 If you are matching existing bricks, blocks or pavers, we strongly suggests you contact our Sales Team to enable them to find the best possible product match from available stock. Due to the nature of the manufacturing process and materials used, colour variation will occur naturally within a production run and between batches. Products displayed on our website are examples only. Some minor chipping and breakage can occur during the delivery, off loading and installation. This should not exceed 5% of the completed product. It is recommended that this product be used for cuts and in-fills. Score or minor 'drag marks' may occur during the manufacturing process of Textured or Mexicut face bricks. These 'drag marks' are part of the characteristic of the brick and do not detract from the overall appearance of the completed wall. Sizes and quantity per square metre are nominal only. These variances are due to different installation techniques and size variation that occur during the manufacturing processes. Please consult your Midland Brick Sales Advisor if mixing various colours into patterns. Product supplied is within the dimensional tolerances specified in Australia/New Zealand Standard AS/NZS 4455. For further information please contact Midland Brick. 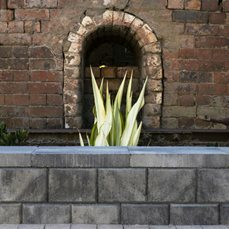 For the best colour blending results we recommend to mix your bricks, blocks and pavers from various packs - as you lay. For more information, download our Blending Bricks and Pavers flyer. When cutting, ensure that the product is fully wetted (soaked with water). This will reduce the chance of surface discolouration from cutting slurry. Similarly, ensure all slurry is washed from any cut product before laying and that no slurry falls on product already laid. For more information please refer to the Hints and Tips for Cutting flyer or enquire with our Customer Service team. Standard Face Bricks have only one purpose made face, whereas 'Handmade' bricks have two. Variations in colour may occur between solid and cored face bricks of the same name. To maintain the traditional character of 'Handmade' bricks you will find some variation in size and colour. Due to the uniqueness of each batch, we invite you to personally select from our current stocks at our Middle Swan Selection Centre. Our Sales Advisors will be on hand to help with your selection. Note: When using 'Handmade' bricks within 1km of the coast we strongly recommend that flushed or rolled joints be used. Handmade bricks are manufactured to sizing class DWO. 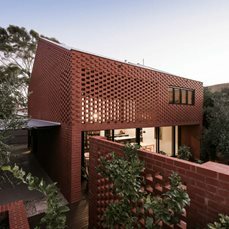 Not all utility bricks are suitable for external use. We recommend you discuss applications with your Midland Brick Sales Advisor. Please note all utility bricks are not colour specific. All concrete (masonry) products will shrink over time, therefore allowance must be included in building designs. For un-reinforced walls, using concrete masonry product, control joints must be incorporated at centres not exceeding 6 metres. 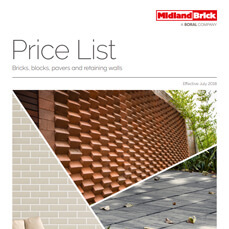 Please refer to page 10 in the Midland Brick Technical Manual, our Sales Advisors or AS3700 for further information. 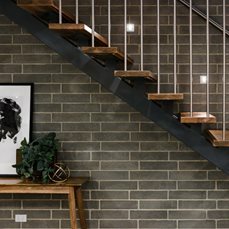 For two storey projects Midland Brick can stack face bricks on site, and later lift them onto the first floor slab (where possible). It is recommended that all face bricks be delivered at the same time to ensure colour consistency between storeys. Charges do apply. Contact Customer Service on 13 15 40 for more information. To achieve maximum protection in coastal areas we recommend a sealed joint (flush or rolled) with an approved damp proof course is used (see below for more info). To ensure the best possible performance of brickwork in severe marine environments, exposure grade units are required. Please consult Customer Service on 13 15 40 if more information is required. It is imperative that adequate damp proof course is installed to protect brickwork from excessive ground salts and moisture. Also, the inclusion of damp proofing in the external leaf of masonry, brick piers and garden walls will help the bricks maintain their original colour and style. The damp proof course must be installed correctly and above ground level to ensure it functions correctly. Dimensions quoted are nominal only. Actual manufactured size will vary between batch runs, product type and colour of paver. Please consult your Midland Brick Sales Advisor if mixing various colours into patterns. In accordance with accepted engineering principles, Midland Brick recommends allowing 2-3mm joints between pavers for clean jointing sand to be swept in between pavers to ensure effective lock up. The use of a base course layer under all segmental pavements subjected to vehicular traffic is also recommended. 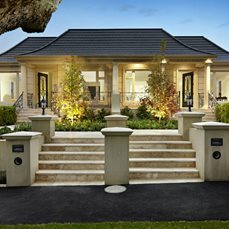 Please refer to Midland Brick technical literature for specific recommendations or contact Midland Brick. To maintain the traditional character of 'Handmade' pavers you will find some variation in size and colour. Note: When using 'Handmade' pavers within 1km of the coast we strongly recommend that flushed or rolled joints be used. Handmade bricks are manufactured to sizing class DWO. Minor edge chipping can occur when steel drum rollers, mowers or garden edgers pass over paving bricks. When moving machinery across pavers the laying of a rubber strip or carpet over the paver surface will help alleviate any chipping. In accordance with accepted engineering principles Midland Brick recommends the use of a sub-base course layer under all clay segmental brick pavements subjected to vehicular traffic, as referred to in Midland Brickâ€™s Crossover and Driveway document. When paving crossovers you should first contact your local shire to ensure you comply with their specifications. Tyre markings may appear on any type of paved surface due to tyre compounds, vehicle weight, direction and the action of power steering. 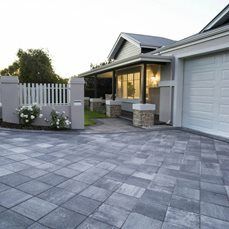 Midland Brick recommends sealing your pavers to minimise staining and marking. All concrete pavers will fade over time when exposed to direct sunlight. Sealing the pavers is recommended to maintain and enhance the original colour. More information is available though most sealer manufacturers and web sites. To protect the life of your pavers and to allow easy cleaning, Midland Brick recommends that your paving be sealed. This is particularly important in coastal areas or harsh environments. More information is available though most sealer manufacturers and web sites. Where paving is to be used for pool edging, it is recommended that you use our matching Bullnose pavers. Paving should be protected with a suitable sealer to a minimum width of 2m from the pool edge. Sealers should be renewed periodically as recommended by the sealer manufacturer. For suitable sealers please consult with a sealer manufacturer. When clay or masonry product is subjected to severe salt attack, some deterioration may occur over time. For bullnose pavers we recommend sealing both sides of the paver prior to installation. Some products are packaged and delivered on pallets. These orders require a deposit per pallet. This deposit is fully refundable on return of the pallet to a Midland Brick Yard. Pallets can be arranged for pick up for a per pallet charge. Some products are available on part pallets, meaning defined quantities (less than a full pallet) can be ordered. If you are picking up product, and the quantity is under half a pallet, (depending on your product) we may allow loose loading of product to your vehicle or trailer and you will receive a refund on the pallet. Conditions apply. The use of high pressure water cleaning is NOT recommended as it may damage the face of clay and masonry paving, brickwork, window frames and mortar joints. Chemicals used to clean products are dangerous. Please ensure you adhere to all safety directions on any chemical packaging. Ensure that no acid based products are used on concrete, masonry or Stylestone products. Occasionally various types of stains, blemishes or efflorescence may become visible after the completion of the works. Typically this forms on the surface of porous building materials or coatings such as bricks, pavers, mortar and concrete (see more information below). A white deposit known as efflorescence may sometimes appear on concrete or masonry products. Efflorescence is caused by the migration of salts through evaporation to the surfaces of the product. This is a temporary effect while the product acclimatises to its new environment. To remove efflorescence and other forms of staining please refer to our brick cleaning information sheet. On occasions, a yellow/green staining may appear on cream coloured clay bricks. This is known as Vanadium Staining, which is a natural by-product of clay. It is not harmful. The stain may appear following rain/water application or when exposed to an acidic environment. The stain will usually weather away, however for quicker removal please refer to our brick cleaning information sheet, or you can discuss further with our Customer Service team. We hope you enjoyed your shopping experience with Midland Brick. Please contact our customer service department with any questions or concerns regarding your order, delivery or picking up your product.